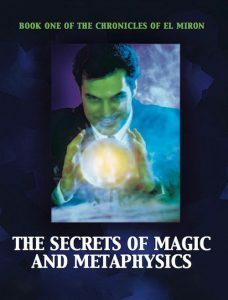 Psychic powers are common to all people, but some have not used their ability in the field of Metaphysics, so they consider that they don’t have them; everyone has them to some degree or another. Some brain researchers explain that the primitive brain is more intuitive and that hunches and psychic insight are activities of this more primitive part of the brain. The energies come up through the medulla, through the cerebellum lobes, to and through the pineal in their twinned trinities (and note these trinities are not of opposing polarities). The energies that come through the trinities shine through their various avenues and that which is the first trinity channels initially into mainly the left hemisphere, then across to the pituitary gland. Those energies cause an imprint on the energy already flowing through that left hemisphere. This imprint we call thought. So, we have the left hand side of the brain dealing with abstract thinking, music, art, and literature; the imprint called thought and the ability to think clearly. This, in turn, channels to the right hemisphere where it is necessary. So, rather than a left brain, right brain phenomena, it could perhaps be described as an inner brain, outer brain phenomena. If we go along with this theory, traumatic situations may allow the thought processes to occur at a more primal level, so that decisions are made instinctively or intuitively. So we have an influence coming from the subconscious mind, which by its definition, resides below the threshold of consciousness. Correct training can help this information come to the conscious mind at will. Practice with the symbolism of the Tarot can raise the level of awareness and hone the intuitive faculty. Symbols are the language of the subconscious mind and the Tarot, being rich in Metaphysical symbology will speak directly to your subconscious mind and allow intuitive insights. 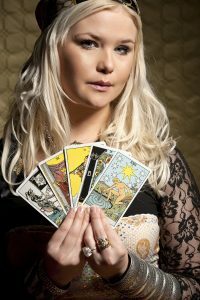 When you experience the symbolic nature of the Tarot, the experience is brought directly from your subconscious mind into consciousness awareness. To learn how to do this: 1. Go into a deep state of relaxation 2. Connect with your higher self 3. Place your hand over the appropriate tarot card 4. Let the impressions come into your conscious mind 5. When the images or impressions have finished, you should have a fuller awareness about the problem you were trying to solve. There are many sets of Oracle Cards and particularly Angel Cards now readily available. 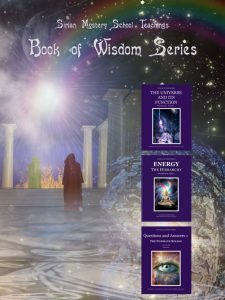 While these cards do not allow the intuitive process to flow as fully as the Tarot Cards, they may be beneficial for someone just starting out as they have the meaning of the card printed underneath the illustration. 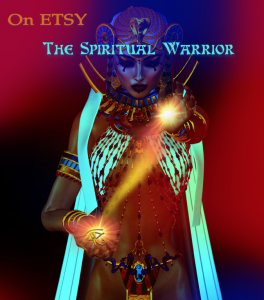 Using oracle cards is a great introduction to working on your spiritual path. Make sure you like the deck you choose as this enables you to feel more connected with the deck and connect better with your own guidance. The Tarot is part of the Ancient Wisdom given in modern guise to show the blessings and pitfalls along the Pathway back to the Source of Creative Energy, or if you prefer, the Godhead.